He can recognize 800 pure ingredients, but more than that, he can even tell you and in what concentration they are used. He is one of the world’s great perfumers – and it seems there are fewer perfumers in the world than astronauts. Guerlain give him the title of Professor of Perfume. He is also a fragrance historian and creates bespoke and exclusive perfumes. 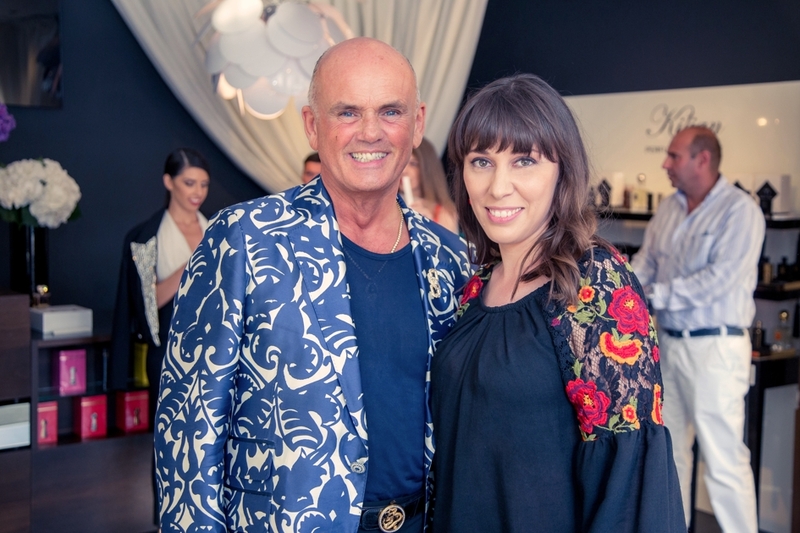 The British Roja (Roger) Dove is the “golden” nose and I was pleased to meet him at Madison Perfumery’s 10th anniversary, in Bucharest. The perfect opportunity for an exclusive interview. Enjoy! 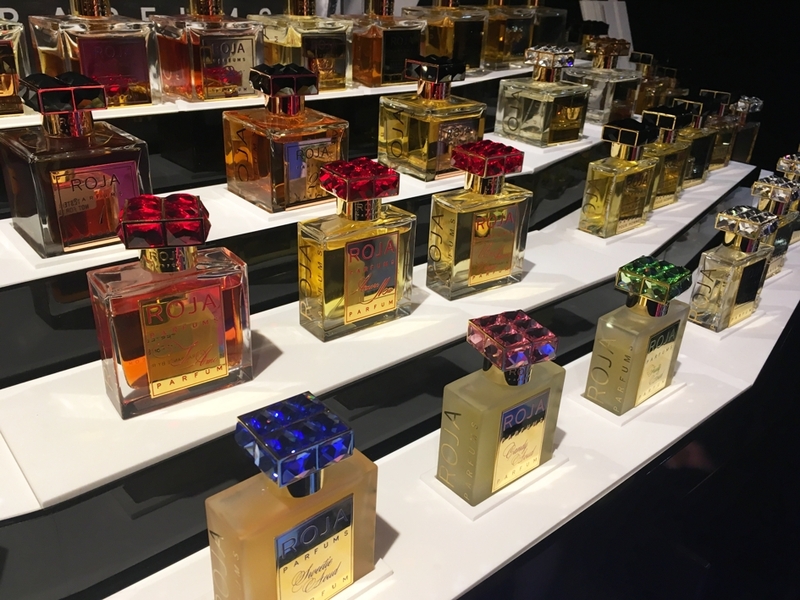 Roja, why should we love perfumes? The sense of smell is the oldest sense in living organisms, so the sense of smell existed before any other senses. We have it to fulfill three functions: find food, to escape danger and to find a mate. And if you don’t fulfill those three things either you die, or the species dies. You don’t smell with your nose. It’s the only sense that works directly to your brain. When we are born, the parts of the brain which deals with smell is empty and we learn our response to smell. Did you know it takes longer, psychologically, to get over losing the sense of smell than blindness? We don’t talk about the sense of smell. We think nothing, when we get older, if you go to the optometrist to buy glasses, we think nothing when we have to raise the voice for our grandmother, so when we get older, the senses diminished. And, of course, so can the sense of smell. So because you don’t taste food with your mouth, it’s a combination of mouth and nose (combined is what we call flavor), food becomes flavorless. Which is why old people sometimes put a lot of salt. Because without smell, you can taste only salt, sweet, sour, bitter and umami. Your lover’s, your partners’s body certainly has a smell, kissing is the most intense form of smelling in the animal kingdom, because smell and taste is combined. Which is why you can go out somewhere and see someone and you like them and then you get near and it’s very exciting and then the moment comes when you kiss them and it doesn’t feel right. Everybody has experienced that. It’s because they didn’t smell right. Because we have a sense of smell also to find a mate. And that is the animal instinct that tells us that the person is not right for us. It was a long answer… But I think we, human beings, have one scent for basically as long as we have put clothes on our body. And we forget that. And one of the things we had learned, because we’re the smartest animal in the animal kingdom, is that smell is about attraction, or a culture. So we have learned that when we put certain things on our selves, we are probably more attractive to other people. So why should you wear perfume? It makes the day more beautiful, you give a gift to people because when people smell it you will give them a memory. They won’t remember what shoes you are wearing, nor the color of your nails, but even after 10 years someone can remember you for a perfume. Tell me a little bit about your „nose superpowers”. Is it training, is it talent? I make a comparison with playing a piano. If somebody gave you piano lessons, hopefully you become better than if you have no lessons. If you’re going to be good it has to be because God gave you a talent. So I think it’s a mixture of things. I think you naturally have to have an aptitude for it, then it’s the training and it’s how much work you put to. How about the disadvantages of having such a sensitive nose? (laughing) I was on a flight once, and a stewardess had the most horrible perfume. So when I saw a person [from the cabin crew], I very quietly said: „ Either please move me, or move the stewardess. I don’t mind which, but I can’t travel on this flight, with this woman near me.” I asked very politely and quietly. And the problem was solved. I never ever go on the Underground in London. It’s very busy, but you smell all of humanity and all that humanity does. I won’t go into the details because you have already guessed… But how I can explain it: there is one of the men who works for me, a man called Albert, he is a perfumery assistant of mine. And we were sitting in a car, going somewhere. And I said to him: „All I can smell is beer, somebody’s been drinking beer in this car.” And he didn’t tell me that time, but the next time I was with him he said: „You know that was me. I went out for a beer the night before with my father.” So… it’s like that. But the great advantage: once I was about to go to bed, I went upstairs, I was just about to go into my bedroom. And I said to Peter [Roja’s partner]: I smell fire. And he knew not to question me, like ”I don’t smell anything”. And we went downstairs and an electrical appliance just started to catch on fire. So if I’d gone to bed, maybe the house might have caught on fire. I often write here, on my website, or talk, on the TV show I produce, about politeness and good manners. And because of that, sometimes people change their behavior in my presence, thinking I may judge them. How do people react in your presence, considering your unique capacity of smelling? Or when I talk about a smell and describe it, I see people like… freezing. So sometimes I feel that people are very frightened to say what they think. And they always say you can’t be wrong with the smell, because smell is about memory, about your or association. Which is very different than smelling something in a technical way. About the bespoke perfume. How well do you have to know that person to create a perfume that fits? When I first meet somebody for bespoke, generally, first I want to stay and talk, for a cup of tea or a cocktail. Just a half an hour to get to know them a little. I find that if I meet someone and they get to know me a little bit, and I know them a little bit, when we see the next time it’s more comfortable. How I make a bespoke perfume? I don’t ask you what perfume you like. Because you’re can’t explain the smell to me. If you think of the language we use, it all goes back to how I explained we learn about the smell when we are young. How we describe a smell is always subjective, unless you’re trained. Women often will say: „I don’t want anything strong”. But what is a strong smell? It’s something that I put on you and you don’t like, of course it’s strong, it’s all you smell all day! If you put that same smell on another person and they love it, it’s not strong at all. So the language is always subjective. So how I work? I give a lot of different ingredients for people to smell, but I never tell you what you’re smelling. Because if I say to you „this is rose”, you may say: “I don’t like Roses” or “I love Roses”, so you don’t smell them anymore, you think about what you think about Roses. Or if I give you an ingredient like Jasmine, the Jasmine I use it cost me about 304.000 pounds per kilo, that’s nearly double the price of pure gold. So if I say this Jasmine is so rare and it cost double the price of gold, it changes your perception. I really want to know if you like this or not. So I give the raw materials and I write whatever you tell me. So when I look through the notes I could very quickly see where you have positive or negative associations on some types of materials and that gives me, in the end, almost a blueprint for the thing that I will create for you. Bespoke perfume is maybe the ultimate luxury product. If you are very wealthy and you could afford to commission whatever you like, to make the most wonderful motor car just the way you want, you can share it with people in a way they can physically see it. With a scent, people smell it, but it‘s subliminal. So it’s a status symbol that most people wouldn’t understand and it’s actually only made for you. The luxury of it is that the only person maybe who really knows it is you, and that’s maybe part of its beauty. Generally the people who have the sensibility to want it, are very refined. Because if you get a scent right on somebody, I always said that it helps a person to look one or two centimetres taller, without the need of a heel. Because it makes them feel good. Do you use different perfume for different occasions or time of the day? Never, I have one perfume, it’s what I wear, it’s what I use, it’s made by me. I think there’s no right and there is no wrong. I find it very difficult when I hear people say „you must”, „you should”… Says who? Everything we do is the things that make us feel comfortable or happy, that’s what I think. So you could say it’s a little bit like a relationship, you know. Maybe you meet someone, you fall in love with, and you’re very happy to be monogamous all of your life. Maybe you’re somebody who likes to have a lot of choices. And maybe you are somebody who likes somebody for two or three years, then you get bored and you have another one. Who can say about what is right or wrong? You do some training from time to time? Yes, at the Fragrance Foundation, it’s the only globally recognized body of the industry and I conduct the training for that. I do maybe 6 to 8 courses in an year. What is the first lesson of your training? The first thing I always do is I give a blotter to everybody. Nobody knows what it is. And I ask very specific questions about it. I’ll ask where does it make you think: which country, where are you, are you outdoors – beach, mountains, countryside – are you indoors – boudoir, small shop, restaurant, theatre. Then I ask you to imagine the people you meet at this place: how they are dressed – clothes, fabrics – then I ask about jewellery, about age, colours. I write everything they tell me, and then you’ll suddenly see one person will tell you he is in an English country garden, somebody else will be at the sea. Somebody will be in their grandmother’s bedroom, somebody else will be in the small lobby of the chicest hotel… And the reason I do this is that we learn our response to smell. How you smell something is unique to you, the scent works as a trigger. And I say to all of them: whether you are a journalist and write about perfume, whether you are in PR and you write a PR story, whether you are in the training department of a company, or whether you’re talking to a consumer, what you feel – you have just seen – you’re not wrong, but no one else smells it that way. And so the trouble is if you say this is sophisticated, summery and chic and somebody else smell it like is hippie, winter and ethnic, then the two of you are not talking a common language. I think it’s very important, particularly for journalists who write articles like “this is Boho-chic” or anything else. And a couple of the customers are smiling, it’s not like that at all. The perception is as unique as our fingerprint. Except for the perfumes, what else do you do to make the world a better place? Earlier this year I won an award in the Financial Times newspaper as one of the top 100 employers in the world for equality. Which was very interesting because I was asked: what do you do to promote equality? And I said I don’t do anything to promote it, it’s just how our company is. I think if you have to try to actively promote it, it suggests that actually it’s not about equality. In the course of the year I support about 20 charities and I hope that I’m kind to people, I think that makes the world a better place.